Sure, some laptops are cheap ($500 or so) but they are not industrial devices designed to be mounted onto a forklift. 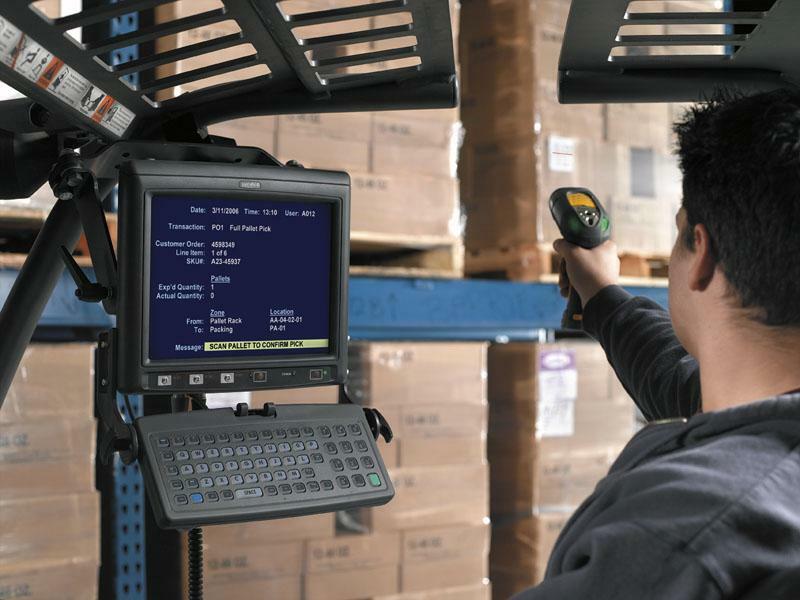 Lets start by looking at the Motorola VC5090 mobile computer and why you should consider this for your mobile forklift application. For each point consider whether a standard laptop measures up! 1. How many forklifts do you have? 2. Are they all the same brand and model? If not, make a list. 3. Where will you mount the VC5090? 4. Will the forklift supplier come and install the power cabling? 5. If so, how much will this cost? 6. Ergonomics for your forklift drivers. What do they currently carry with them on the forklift? 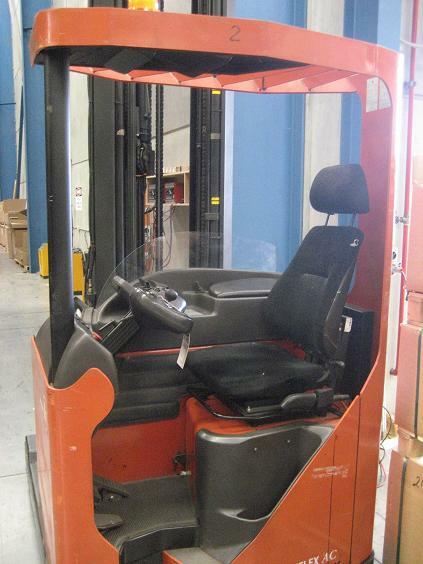 What space is on the forklift dashboard and surrounding area? 7. What barcodes do you have to scan? How large are they? Check out our sample 'Barcode Audit' document to get a better understanding of what you have to work with. 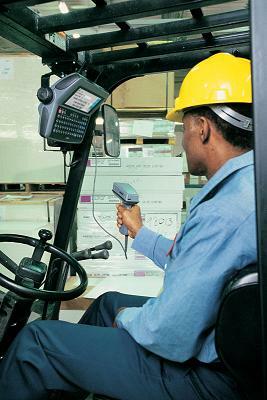 Now that you have the VC5090 mounted on your forklift, what type of barcode scanner are you going to use? Well this will depend on the type of barcodes you need your warehouse staff to scan. Ideally you want them to remain seated and to easily scan barcodes from a distance. Firstly, the barcode has to be a decent size to be scanned from a greater distance. 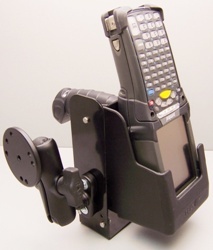 Secondly, the hand held scanner needs to be easy to reach and move around while seated. In some cases a retractable pulley is used to hold the scanner up in the air. 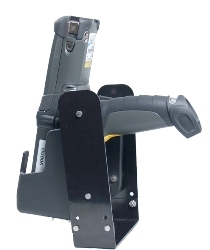 In other examples the corded hand held scanner is simply placed in a holder mounted on the dashboard of the forklift. The cable is not long enough for the barcode scanner to hit the floor and the connection of the cable to the scanner is locked into place to remove the stain on the connection. 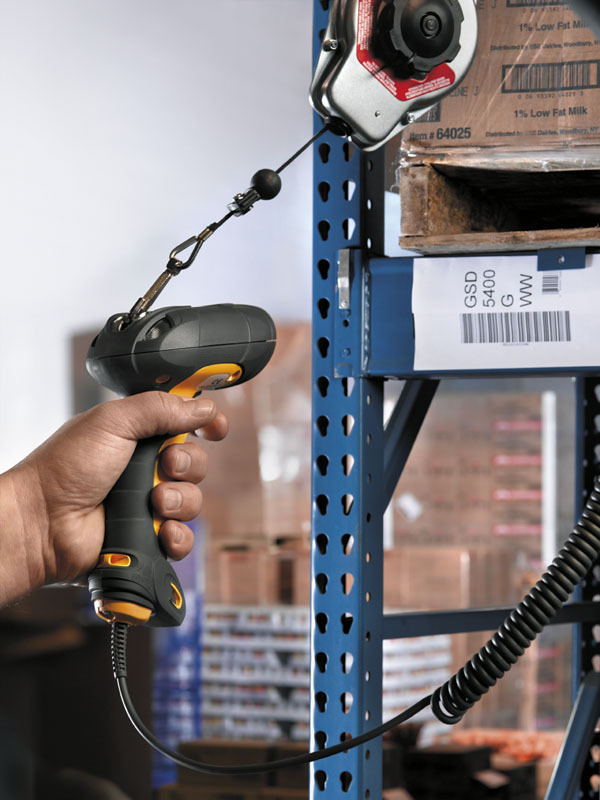 If you do not want a cable connecting the hand held barcode scanner to the VC5090, then you can use a cordless barcode reader such as the LS3578-ER long range scanner. 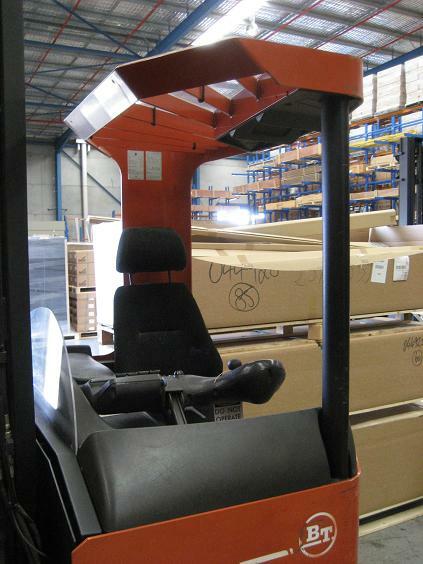 You will however need to mount the base station somewhere on the forklift. 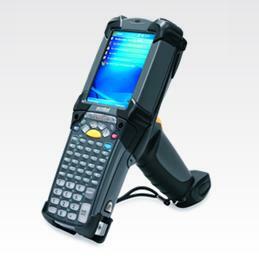 Barcode Datalink supplies the Motorola VC5090 mobile computer with a three (3) year warranty from the start including 'Comprehensive Coverage'. This means that for the next three years you know that your repair costs are going to be. Next to nothing! If you have a problem with your VC5090 ship it back to Motorola repair centre in Melbourne, Victoria (Australia - for Australian customers only) and you only pay for freight to Melbourne. Motorola will repair the VC5090 within a three day turnaround of receiving it and ship it back to you asap! While the laptop might cost you less to purchase initially it is going to cost you more overall since it is not designed to take the abuse and constant shock of riding on a forklift all day. The laptop is a consumer product and was not designed for tough industrial environments. The Motorola VC5090 was! How are you going to mount the laptop? It is designed for desktop use on a flat clean surface. How are you going to power it? How much down time are you going to have? Cost of IT resources needed to help fix problems? The connections are not industrial strength for attaching barcode scanners? Will your staff be productive? How long will the battery last on the laptop? 2 to 3 hours? then what? Does the laptop have a touch screen and is sealed against dust and water? Does the supplier provide you with an extended warranty and cover accidental damage? Do they recommend their laptop for this environment and application? What is the turn around time for repairs and how much are they going to cost once the 12 month warranty runs out? Finally, the potential damage to your reputation for deciding to implement an inadequate solution that has cost your Company time, money, valuable resources and made it inefficient. 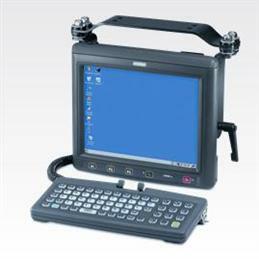 The total opposite to the goal of introducing mobile computing for efficiency and productivity gains. And your competitors installed a Motorola solution that is working and has offered them a total lower cost of ownership over the life of the project! 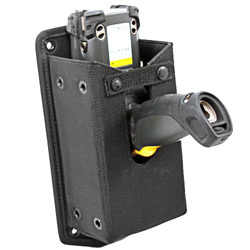 Some of our clients have simply mounted a holster to the frame of the forklift and used a pistol grip Motorola MC9090 mobile computer. 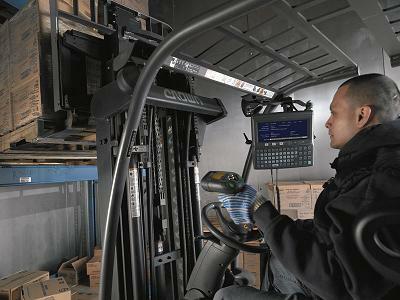 While this may sound like a money saving idea, if you have workers full time in a forklift the convenience of having a vehicle computer provides a more PC like experience with a larger screen and keyboard and a more descriptive software application with a better layout than a small mobile screen. The other advantage is that the application can be one handed. With the MC9090 you have to hold the unit in one hand and key or use the stylus with the other all on a much smaller screen and keypad. Ultimately it will come down to what your workers are comfortable with since they have to use it. Get them on side and the project will be accepted alot more than if they are not consulted.